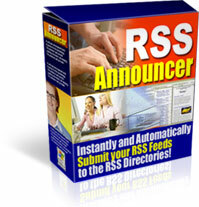 If You have always wanted to be able to quit your day job and break into the Internet Marketing world RSS Announcer is a great way to do it! 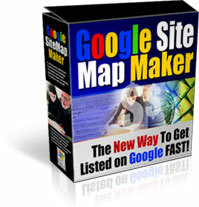 Grab this software now! Right about now is usually where most slick talking Internet marketing salesman would go into how many months it took them to create RSS Announcer and how much money they spent creating it, and ask you how much you think you should pay for such an incredible piece of software. So you have ask yourself how much is your time worth? If you are used to used to making small sums of money every month, then possibly it is worth your time to sit in submit your RSS feeds manually. 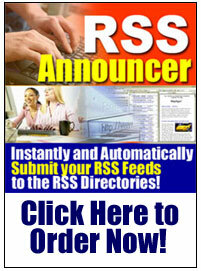 However if you have figured out that there is a lot of money to be made on this thing called the Internet then I'm sure you understand what your time is really worth, and if that's the case, you would absolutely without question know that a tool that will save you as much time as RSS announcer can, is easily worth four times what I'm asking for it. So all I can do is tell you, stop banging your head against your computer monitor like I used to do and get your copy of RSS Announcer today, before I come to my senses and raise the price. Together these 2 free bonuses are worth more than double your investment in “RSS Announcer”-- but they're all yours absolutely free when you order by midnight today! I personally guarantee that if after a full 12 months, you honestly believe “RSS Announcer” doesn’t work for you, then let me know and I’ll issue you a prompt and courteous refund. Plus, the free bonus gifts are yours to keep regardless, just for your trouble. 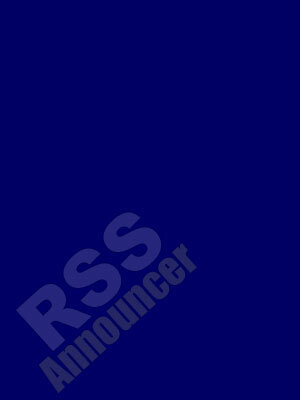 You get to try out “RSS Announcer” at my risk, while you see if it works for you or not. And if it doesn’t produce, I honestly want you to ask for your money back. And I’ll let you keep the free bonus gifts as my way of thanking you for giving it a try. There is absolutely no risk, whatsoever on your part. The burden to deliver is entirely on me. 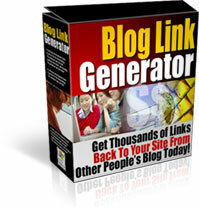 If you don’t produce the kind of links back and traffic that I have told you about above - then I’m the loser, not you. Click here to order right now for only $77.00 (even if it’s 3:00 am in the morning). P.S. Just think! 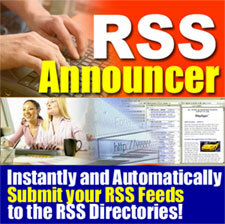 You’ll never again suffer through the pain and hassle of spending hours RSS Directory-wrangling! Isn’t that alone worth $77.00? Plus, you get 3 other high quality, high power tools for the price of one.